The season ending Grand Prix Stakes is the most prestigious race on the Korean calendar. The President’s Cup may be richer but it is only open to Korean bred horses whereas the Grand Prix is open to any horse nominated by their connections and then voted in by the punting public. 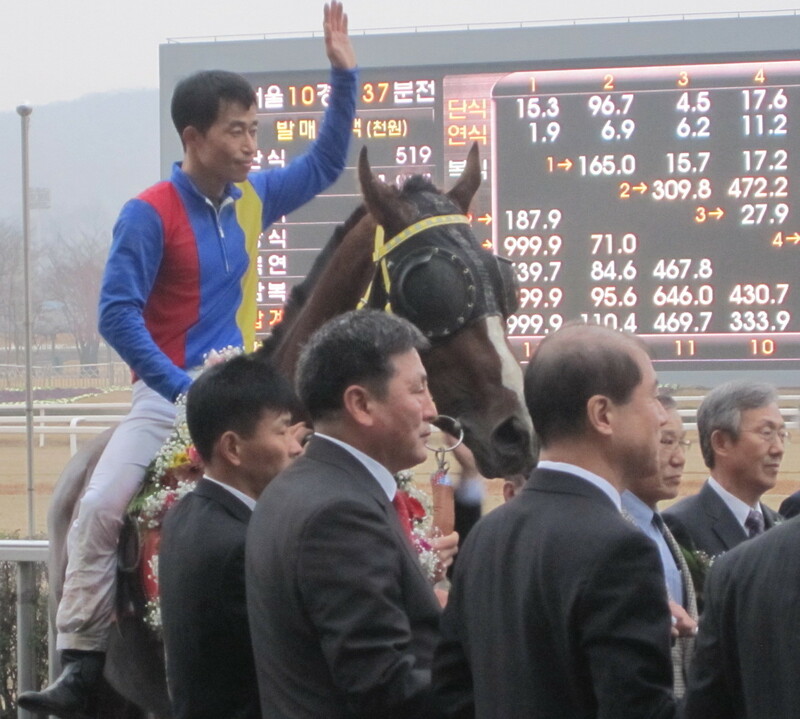 Could Smarty Moonhak really find his way into the Grand Prix winner's circle? With the odd exception when a motivated owner has run an enthusiastic campaign to get their lesser-known horse in, there are usually few surprises. However, this year when punters received their ballot papers just over a week ago, they were greeted with something few thought likely to ever happen. A two-year old colt was on the list. The colt was US import Smarty Moonhak. Intrigued, they naturally voted him in and now he is, in just his fifth lifetime start, set to line up against the very best on the peninsula in a race that is not only the nation’s biggest, but at 2300 metres, is also the longest. Eyebrows had already been raised last month when Smarty Moonhak [Smarty Jones-Madeira M’Dear] was entered in the Turkey Jockey Club Trophy. Not because it was a race he couldn’t win – he did, easily – but that in winning it, he would be bumped up in class prematurely and miss the chance of winning his owners some easy money as he gradually progressed through the ranks. Now it seems that all along, the Grand Prix was the ultimate goal. If so, they evidently believe that in Smarty Moonhak, they have something special on their hands. In its thirty year history, a two-year old has never even run in the Grand Prix, let alone won it. While double President’s Cup winner Dangdae Bulpae and unbeaten US three-year old Lion Santa were both withdrawn from nominations, if he runs, Smarty Moonhak will still face a formidable field at Seoul Race Park at dusk on Sunday December 11. Last year’s winner Mister Park, unbeaten in his last seventeen races – the longest winning streak in Korean racing history – will be the favourite but he’ll be running into Ace Galloper, Seoul’s best horse, on home territory. Then there is Tough Win and also the 2010 Korean Derby winner Cheonnyeon Daero, aiming for one last hurrah before being retired to stud while Busan Metropolitan winner and last year’s third place finisher Yeonseung Daero comes back for another go. Minister’s Cup Winner Dongseo Jeongbeol represents this year’s dreadful domestic three-year old crop while Peter Wolsley’s best ever horse in Korea Gyeongkwaehanjilju, who gives the Australian trainer his first ever runner in the Grand Prix. Could Smarty Moonhak do it? Or are we dealing with over-enthusiastic connections? Having been on the winning line when he won the 1800 metre Turkey Jockey Club Trophy without breaking into a gallop, I thought he could have run another lap. Regardless of the distance, the Grand Prix will be a very different prospect. Everything he’s done so far suggests Smarty Moonhak is the real deal. We’ll see on December 11. Worldly Pleasure, Dam Of Game On Dude, Headed For Japan? Well that didn’t take long. The Korean Racing Journal has reported that Worldly Pleasure, dam of Breeders’ Cup Classic runner-up Game On Dude, is likely to move to Japan. As Game On Dude burnished his reputation throughout this year in the USA, Worldly Pleasure’s owners, Nokwon Farm of Jeju Island, reportedly received a number of offers for her. They held on until after the Classic and, keen to see her stay in Asia, finally decided to accept one from Shadai Stallion Farm, a set-up that Nokwon has had dealings with before. Although the terms of the deal have not been made public, it is believed that Nokwon will in addition to cash, receive at least one broodmare in return. Whatever the value of the sale, it’s seems that Nokwon have pulled off a shrewd piece of business with Worldly Pleasure [Devil His Due-Fast Pleasure (Fast Play)], who they purchased for $15,000 at the Keeneland November Breeding Stock in 2009. She arrived in Korea in foal to Macho Uno, giving birth to a colt shortly after arrival and while on Jeju she delivered a filly by Volponi. Both are at present still expected to run in Korea. This year she was covered by Nokwon Farm’s own Japanese stallion Admire Don. According to the report by the Journal, if all goes to plan, Worldly Pleasure could be sent to Deep Impact in the 2012 breeding season. It’s not the first time that a broodmare has been sold on from Korea after her earlier progeny unexpectedly came good at home. 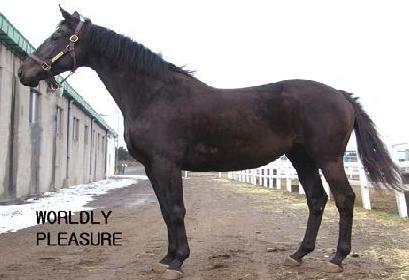 In 2005, First Violin (Dixieland Band) was imported from the USA, only to re re-exported back home after her colt Dominican won the 2007 Bluegrass Stakes. 16/1 outsider Good Time became the shock Korean Champion Juvenile of 2011 as Busan horses scored a 1,2,3 in the Breeders’ Cup at Seoul Race Park this afternoon. Seoul filly Cheoneun was sent off favourite and it was she who took an early lead in the six and a half furlong sprint. She kept the lead until the final furlong but, just as she had in the Gwacheon Mayor’s Cup a month ago, faded badly. This time, it wasn’t just one horse who passed her but many as the closely bunched field swept by. On the line, it was Good Time and Chae Gyu Jun who just got the better of Choi Si Dae on 33/1 Sing A. To complete the unlikely placers, 30/1 Dream Tower grabbed third. A full field of fourteen will line-up at Seoul Race Park on Sunday afternoon for the Breeders’ Cup, Korea’s premier Juvenile race. Six visitors from Busan will face eight of the capital’s most promising young Korean bred horses over six and a half furlongs. Likely favourite is Cheoneun. 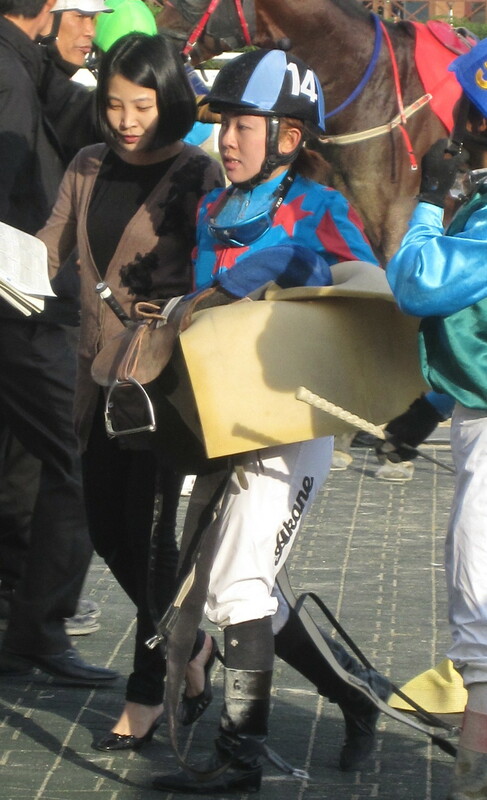 She won her first three races before being beaten in the Gwacheon Mayor’s Cup – the top juvenile race restricted to Seoul horses – by another filly, Dolpung Jilju. Cheoneun faded very badly in the final furlong that day. Many will expect to see her turn it around tomorrow. As for Dolpung Jilju, she may have the worst Stud Book picture ever but she is certainly a talent and will have plenty of supporters. For the colts, Dolpung Gangho and Jigeum I Sungan have the best of what are to date, limited records. It’s a lighter than usual challenge from Busan when compared with most events that bring runners from the two tracks together. Of those that have travelled, Peter Wolsley’s filly Nuriui Bit, second in the Gyeongnam News Cup, looks to have the best chance. Australian jockey Nathan Stanley is in town to ride her. Joining Stanley in Seoul is Japanese rider Eiki Nishimura, who has the mount of Black Dia. * At Seoul Race Park today there was a shock in the feature race as 17/1 Jewang Tansaeng [Petionville-Awesome Joy (Awesome Again)] scored a five length win in what was a rare sprint feature race over seven furlongs. Running second was old favourite Bally Brae (Yarrow Brae), former Grand Prix winner and now nine years old. It was a bad day for the local Jockey Union at Busan Race Park this afternoon as between them, two of the track’s foreign riders hoovered up five of the ten races on the card. Australian Nathan Stanley and Japanese Akane Yamamoto have established themselves as, political issues aside, two of the most sought-after riders at the track and today, on a chilly afternoon, they showed why. Yamamoto started things off, winning race 2 on young colt Predict (The Groom Is Red), who put in an impressive performance winning by seven lengths. She followed up two races later on 16/1 shot Silver Tiger (Volponi), beating out Stanley on Sangseung Bulpae by a nose. Any punters playing the foreign jockey quinella angle got a 58/1 payout on that finish. Stanley had to wait until race 8 to get in the winner’s circle himself with a four-length win on New Zealand import Dangdae Champ (Falkirk). The Australian had good reason to hold high hopes of scoring a late treble. Races 9 and 10 would see him partner first Ghost Whisper (Gotham City) and then Secret Whisper (Seas Of Secrets), both owned by Pegasus Stables and trained by Peter Wolsley and both set to be odds-on favourites. It didn’t quite turn out as planned as Yamamoto, on second favourite Baramui Jeonsa (Menifee) pipped Stanley and Ghost Whisper to the line by a length to complete her treble. There were no such problems in the feature race, however, as Secret Whisper did the business, albeit only by a neck, to secure his sixth win from twelve starts. Yamamoto finished a very productive day in third place on filly Night Moves (Proud Accolade). With their wins today, Stanley moves on to seventeen winners in Korea and Yamamoto twenty-three. While Yamamoto will have a number of opportunities to add to her tally at Busan on Sunday, Stanley will only have one chance in Seoul, where he travels to partner Peter Wolsley’s Nuriui Bit in Sunday’s Breeders’ Cup, Korea’s premier Juvenile race. 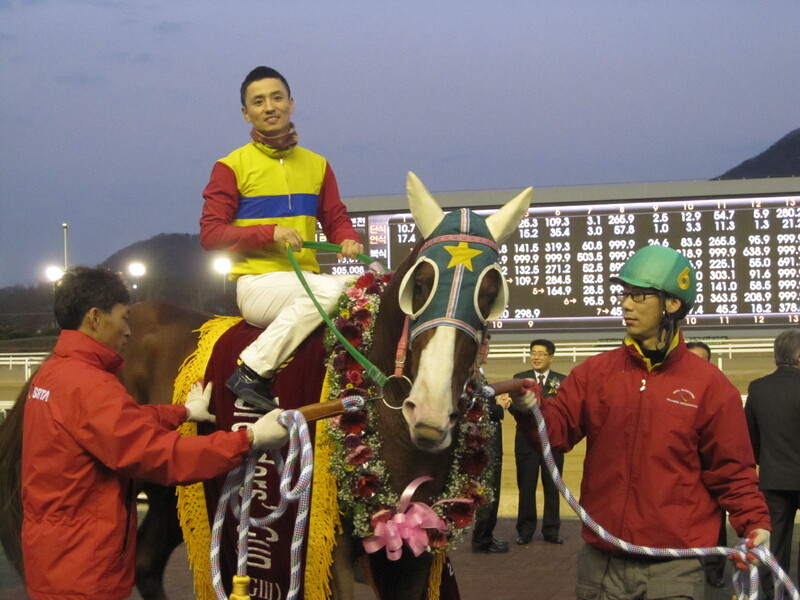 He’ll join Busan’s third foreign jockey, Eiki Nishimura, who is already in the capital preparing for the race. * Also of note today was the second win in two starts by two-year old colt Baekdu Daejangun (Didyme-Indeed My Dear (Alydeed). 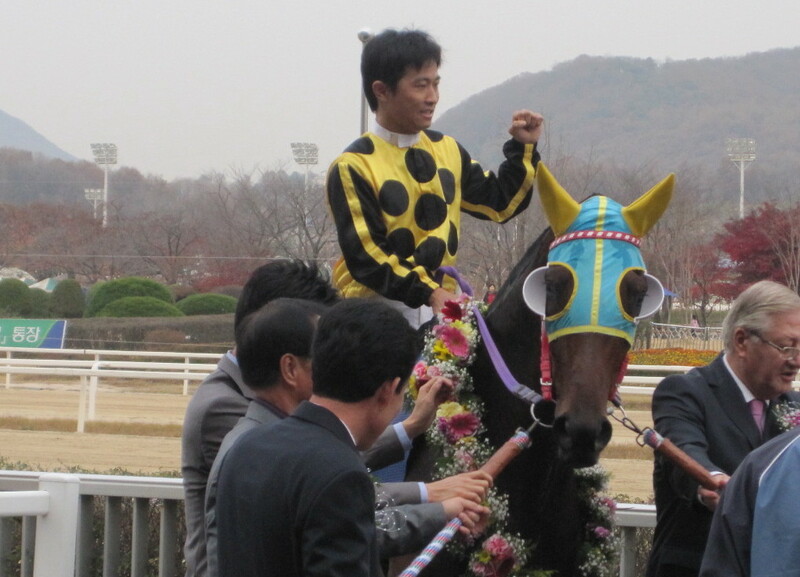 Baekdu Daejangun is the half-brother of double President’s Cup winner Dangdae Bulpae. 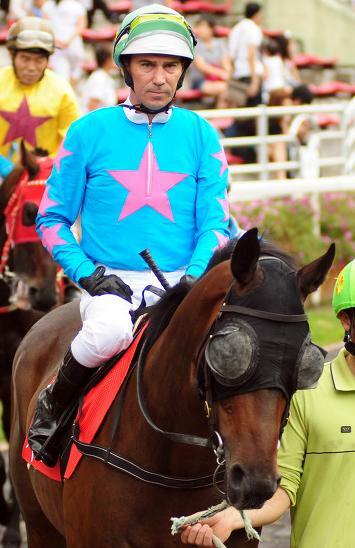 Seoul based apprentice jockey Jang Chu Yeol, currently in the United States for two months of training, rode his first American winner at Charles Town Racetrack in West Virginia last Sunday. The young rider partnered the John McKee owned and trained Free Humor [Sharp Humor-Southerncomfortgal (Hermitage)] to victory in the tenth and final race of the day – an 8.5 furlong Claimer worth $11,400. Free Humor was the 4/1 fourth favourite in a field of ten. Since heading to the States last month, Jang has had 17 rides at Charles Town, mostly for McKee, scoring 2 second places before getting his breakthrough win. At home in Seoul, he stands 11th in the 2011 Jockey Championship with 27 wins this year. Well winter has certainly hit us. Last Sunday saw the mercury dip well below zero at Seoul Race Park and it has been deeply unpleasant in the capital this week.